Holly grew up in Vienna, Virginia, before earning her bachelor’s degree in Communication Disorders and her master’s degree in Audiology from Radford University in Radford, Virginia. She completed her internship at the West Virginia University Medical Center where she practiced as Audiologist and Clinical Associate Professor for 17 years. Holly joined the staff of Clarity in 2001 and has served as the director of audiology services since 2004. 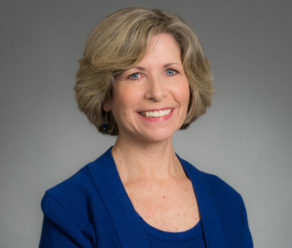 Her professional interests include diagnostic assessment of hearing loss in pediatrics and adults, advanced digital hearing aids, tinnitus management, and central auditory processing disorder evaluation. Holly loves working at Clarity and enjoys the special relationships she has with her pediatric and adult patients alike. She enjoys being challenged everyday to provide the best possible hearing solutions. Holly is married and is the proud mother of two college-age children. She enjoys spending time with her family, playing with her Bichon Frise dogs, decorating and watching college football. Holly’s favorite ice cream flavor is Coconut.